The Supreme Court on Tuesday annulled the Reserve Bank of India’s (RBI’s) February 12 circular on resolving bad debt and said the banking regulator had acted beyond its legal powers while issuing the directive, potentially inflicting a setback on the central bank’s war on non-performing assets (NPAs). The judgment was a great relief for the aggrieved companies, which were battling an outstanding debt of Rs 3.8 trillion. 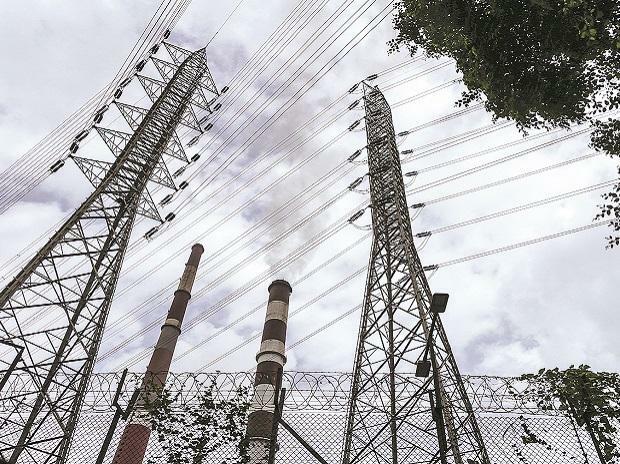 Of the over Rs 2 trillion loans of the power sector, bad debts of at least Rs 34,044 crore were primarily due to changes in government policy, failure on the part of the government to fulfil commitments, delayed regulatory response, and non-payment of dues by distribution companies, according to a report submitted by the 37th Parliamentary Standing Committee on the power sector. The central bank was to gradually lower the ceiling of the loans to include more companies under the February 12 circular later. The circular stated that any company that defaulted on its loan repayment obligation even by a day should be declared a defaulter and banks should start trying to recover their dues. If needed, the company can be referred under the Insolvency and Bankruptcy Code (IBC) and sold off. A two-judge Bench of Justice Rohinton Fali Nariman and Justice Vineet Saran observed that the banking regulator did not consult the government before issuing a circular that drags a bunch of companies to the IBC. The bone of contention was Section 35AA of the Banking Regulation Act, which says the government can authorise the RBI for issuing directions to banks to initiate the insolvency process, but only in respect of a default, and not for a group of defaulters. “Without authorisation of the central government, obviously, no such directions can be issued,” the Bench said. The top court, however, held that the regulator was well within its rights to exercise powers under Section 35 AA and that the Section, along with Section 35 AB (which gives power to the RBI to issue directions on stressed assets), was not manifestly arbitrary. The Banking Regulation Act was amended after the introduction of the IBC in 2016. Under the erstwhile Section 21 of the RBI Act, the central bank had broader powers, but Section 35AA narrowed them down, limiting the scope for the central bank. “… prior to the enactment of Section 35AA, it may have been possible to say that when it comes to the RBI issuing directions to a banking company to initiate the insolvency resolution process under the Insolvency Code, it could have issued such directions under Sections 21 and 35A. But after Section 35AA, it may do so only within the four corners of Section 35AA,” the judges said. Therefore, all actions by banks and non-banking financial institutions, including triggering of insolvency, taken pursuant to the said circular “must fall along with the said circular”, the two-judge Bench said. “All cases in which debtors have been proceeded against by financial creditors under Section 7 of the Insolvency Code, only because of the operation of the impugned circular will be proceedings which, being faulted at the very inception, are declared to be non-est,” the SC said. But the judgment may fundamentally change the way the RBI has carried out its regulatory responsibilities in the past. “The central bank never wanted to be seen as a micro-manager, and never took decisions on individual companies, but did so for the sector as a whole. The judgment, unfortunately, will force the RBI to become a micro-manager,” said a former deputy governor, who did not want to be named. The RBI did not offer a comment on the judgment. “The RBI’s general powers to issue a wide variety of directions will not be impacted by the judgment. The RBI is expected to be more cautious in the future while exercising the legal provisions which entitle them to issue such directions. It has left the door open for the RBI to direct banks to move under the IBC in respect of specific defaults since it upheld the ordinance. Such notifications must survive the scrutiny of the Act,” said Dipankar Bandyopadhyay, partner at law firm Verus. Another former deputy governor said the judgment was technical, but it did not offer any solution to the problem. “The RBI came up with the February 12 circular only when all options were exhausted and nothing was working. The judgment does not talk about the huge role played by the government in forcing companies to default,” said the former RBI official. “The judgment is quite unfortunate and definitely undermines the central bank’s powers. This is coming at a time when banks were just getting a grip on the erring promoters and the tables had turned." It is not clear yet if the central bank will have to go back to the numerous resolution processes that the February 12 circular had superseded. But analysts say the central bank has enough powers to continue with resolution processes, for example provisions can be raised steeply for a bank that fails to come up with a resolution of a defaulter within 180 days. Or, squeezing banks’ lending ability drastically from lending to a defaulter. It is unlikely that the central bank will revisit its old schemes. In its petition, the RBI had said banks had invoked strategic debt restructuring (SDR) in more than 140 cases, but were unable to change ownership in even a handful of cases. In the case of Corporate Debt Restructuring (CDR), of the 591 cases, only 110 succeeded, while 291 cases failed. 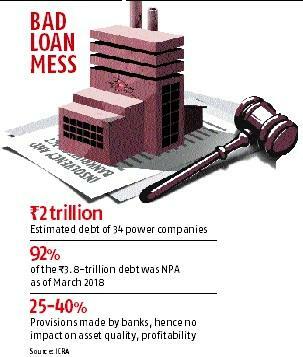 In 22 cases, handled under different scheme, 20 borrowers were still in default, according to the latest data. Following the February 12 circular, the Association of Power Producers (APP) and the Independent Power Producers Association of India (IPPAI) had moved the Allahabad High Court challenging the circular. The high court, however, denied them any relief, following which the APP and the IPPAI approached the apex court in August 2018. The top court had then transferred all the pleas challenging the RBI’s circular, pending in various high courts, to itself and asked all the parties to maintain the status quo. Terming the judgment a major success for all industries that were facing action from banks owing to mandatory directions of the RBI, Mahesh Agarwal, an advocate representing power and shipyard companies in the case, said that quashing gave banks the discretion back which had been taken away. “The court has held the RBI circular to be ultra vires. Banks would, therefore, now be in a position to take independent decision on way forward with regard to resolution of debts, which can now be by way of settlements rather than forced insolvency proceedings,” Agarwal said after the verdict. Tuesday’s judgment will have no impact on the cases referred to the NCLT prior to the date of the circular, and affects only those insolvency cases that were specifically referred under the circular, Bandyopadhyay said. Though the top court has set aside the February 12 circular of the RBI, it stayed away from dealing any other issues that power companies had emphasised as the reasons for their stress. Thus, action against such companies could still be taken by banks under the IBC, Daizy Chawla, senior partner at law firm Singh & Associates, said.